Item # 313820 Stash Points: 2,495 (?) This is the number of points you get in The Zumiez Stash for purchasing this item. Stash points are redeemable for exclusive rewards only available to Zumiez Stash members. To redeem your points check out the rewards catalog on thestash.zumiez.com. 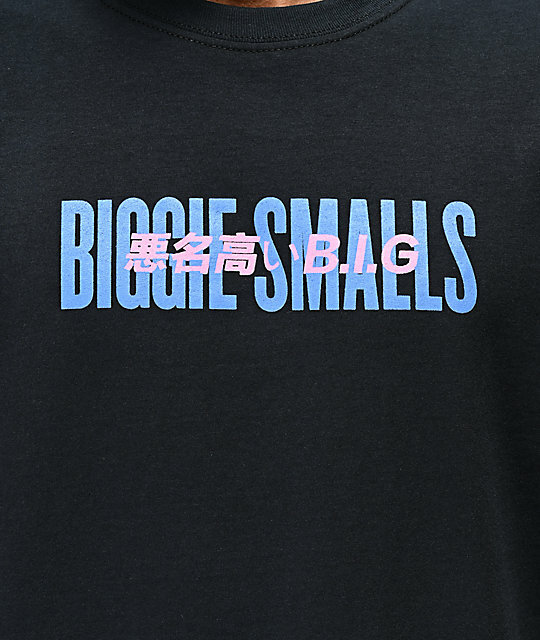 Show off your love for classic hip hop in fresh fashion with the Biggie Tour Kanji Black T-Shirt. 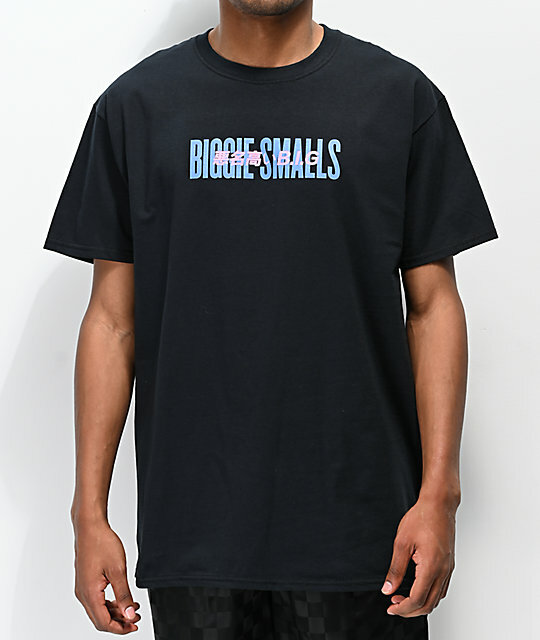 All-black and tagless in construction, this short sleeve is highlighted by blue and pink script screen-printed across the chest and a matching colored concert poster graphic at the back for additional style and flair. 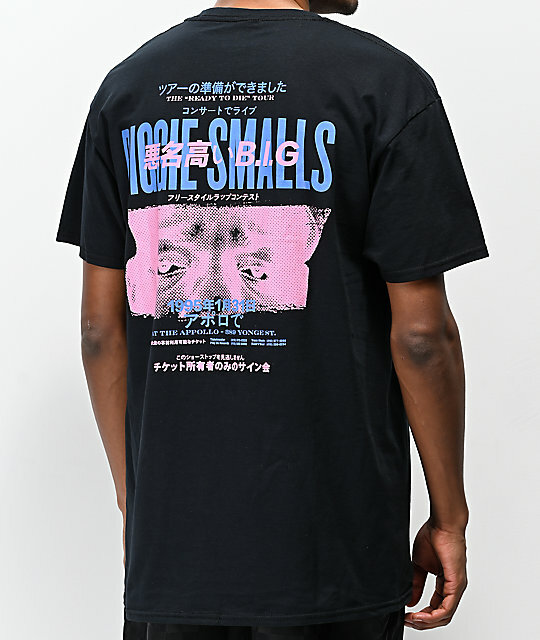 Biggie Tour Kanji Black T-Shirt. Screen-printed pink and blue script across the chest and matching colored flyer graphic at the back.